Knowing my fascination with early colonial American history, several friends sent me links to the latest revelation about the Jamestown colony. (This was just scientific confirmation of reports from 400 years ago.) However, I’m going to spare those of you with weak stomachs and not do a post on ---. (Go ahead and thank me. Yours truly found the idea so appealing, er, interesting she wrote two paragraphs before switching topics.) Those of you with strong stomachs can follow this link to one of the articles. That reference is, of course, to English author Francis Bacon. 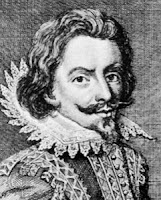 Today, we’re going to spend a little time with his infamous relative, Nathaniel Bacon, a 17th century rogue, rebel, and rock star. Born about 1647, the passionate, educated, and too-handsome-for-his-own-good Bacon eloped with heiress Elizabeth Duke, only to have her unhappy father disinherit her. Bacon soon found himself in further hot water, this time a legal matter when he was accused of trying to defraud a neighbor. With his father’s blessing and financing, he left England for Virginia in 1673. 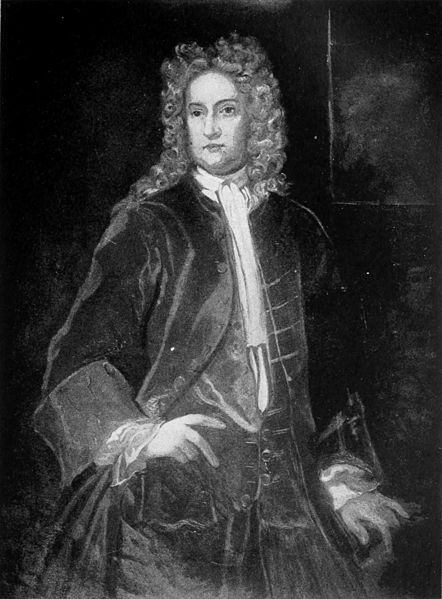 His name and family connections—he was supposedly a cousin to Governor Sir William Berkeley’s young second wife, Frances Culpepper—quickly secured him a place on the governor’s council. But an unrepentant rogue doesn’t stay out of trouble for long. Bacon’s arrival in Virginia coincided with escalating tensions between Virginia Indian tribes and settlers. With the aging and increasingly unpopular governor unable to please all factions, Bacon stepped into the leadership vacuum. Either the newly arrived Bacon didn’t know the friendly tribes from the hostile ones, or he didn’t care. He conducted his first raid in 1676—in retaliation for the killing of one of his employees—against a friendly tribe. Er, make that, a formerly friendly tribe. While his actions caused strife in the colony, they caught the attention of disaffected settlers. Almost overnight, Bacon became a sensation. He demanded a commission from Governor Berkeley to make war on the Indians. Berkeley refused, so Bacon led his growing band of 600 followers against the legislature. With guns pointed at them, the burgesses gave in to Bacon’s demands and offered him his “requested” commission, along with other items such as a pardon, commissions for his subordinate officers, and a letter to the king justifying Bacon’s actions. However, Bacon was no Adams or Jefferson or Washington. While many Virginians of the time had valid complaints about their government—Berkeley hadn’t allowed an election to the House of Burgesses in 14 years—Bacon seems to have been primarily motivated by restlessness and self-aggrandizement. Rather than a movement based on a set of ideals like the revolution 100 years later, Bacon’s Rebellion primarily revolved around the charisma of a single man. A single man who hadn’t much longer to live. Shortly after burning Jamestown in September, Bacon contracted dysentery, a common ailment in a time of poor sanitation. He died on October 26, leaving behind his young wife, a son, a fascinating story and a role model of what-not-to-do for future generations. The rebellion limped along a few more months until Berkeley captured all the rebel strongholds and executed 23 of the participants. Unfortunately for Berkeley, King Charles II was not amused by the turmoil in the country’s prized colony. Berkeley was removed from his post as governor and recalled to England where he died a few months later on July 9, 1677. He was Virginia’s longest serving governor, having been in office a total of 27 years. I definitely will be going on to follow that link later! This is pretty interesting stuff--I'd heard of Bacon's Rebellion but it disappeared into the list of other rebellions in the last 300 years! All it takes is one charismatic leader and people who already have their nose out of joint. Voila! Mob Mentality! Happy 'Birthday' Jamestown --May 13th 1607. The news about those 'lean' years is going to be quite interesting. Deb, we went to the Jamestown 400th anniversary in 2007, and I attended a talk about Nathaniel Bacon. Fascinating stuff. Wow! I never knew that about Bacon. Not that I have ever looked into his life, but it's a fascinating one. Very interesting, as always, CJ! BTW, I saw that same freaky information about Jamestown. Ew. Filing under "things they didn't share with us in elementary school history." Gina, Bacon was the 17th century version of a celebrity. He must have been quite charismatic because he amassed hundreds of followers in a brief period of time. Hey, he died on my birthday! Well, a year or two before, actually. Wow. CJ - don't leave me hanging! I want more! Susie, he wasn't charismatic enough to overcome his father-in-law's objections. F-i-l seems to have been pretty smart, in the end. DeAnna, couple of years, huh?